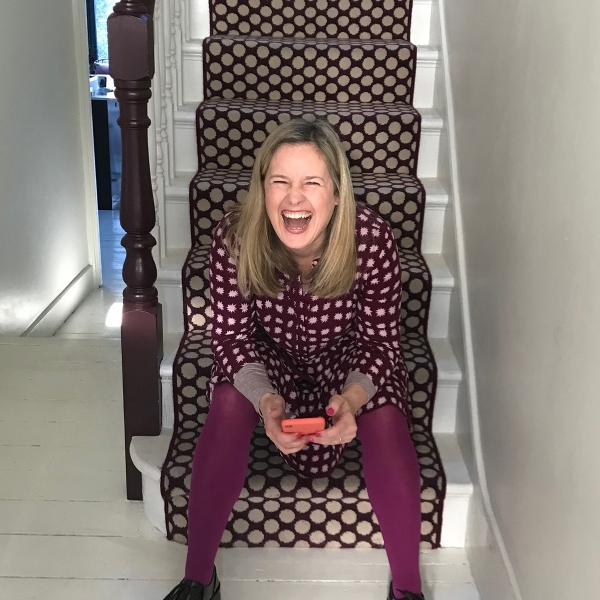 So while Sophie has a well earned holiday in Morocco she has left this post in my capable hands (I hope) I’m Luisa, Sophie’s Interiors Editor. First off, a huge thank you to DFS for their continued support and sponsorship of the Great Indoors, we are all very excited that it’s back for the third series. 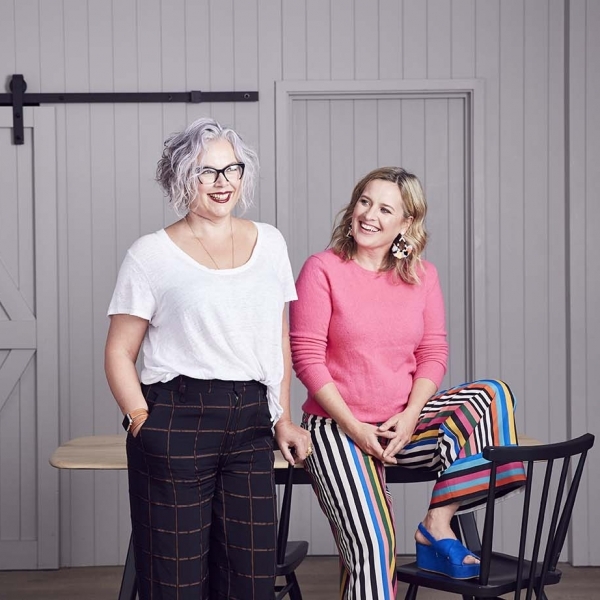 There is an action-packed series coming up, only this time the dynamic duo have had a little refresh and invited some special guests to give their interior insights, including beauty expert and TV personality Trinny Woodall and rock ’n’ roll designer Pearl Lowe. 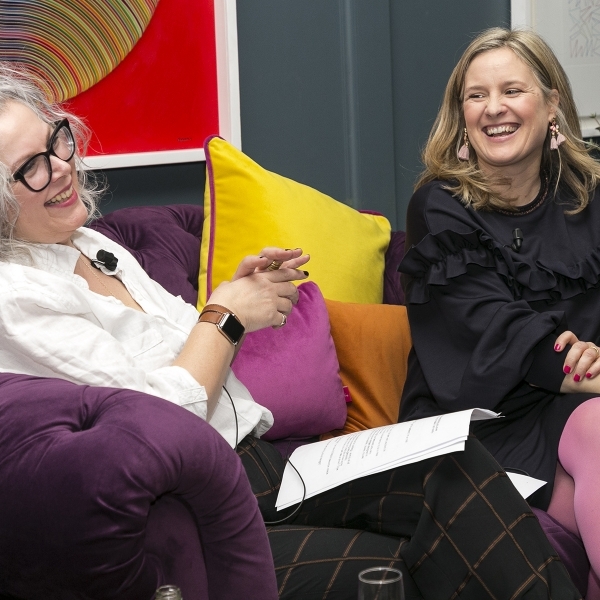 Sophie and her co-host Kate Watson-Smyth cover some hot topics throughout the series – maximalism vs minimalism, does your childhood home shape your adult tastes and trend reports from Clerkenwell Design Week. 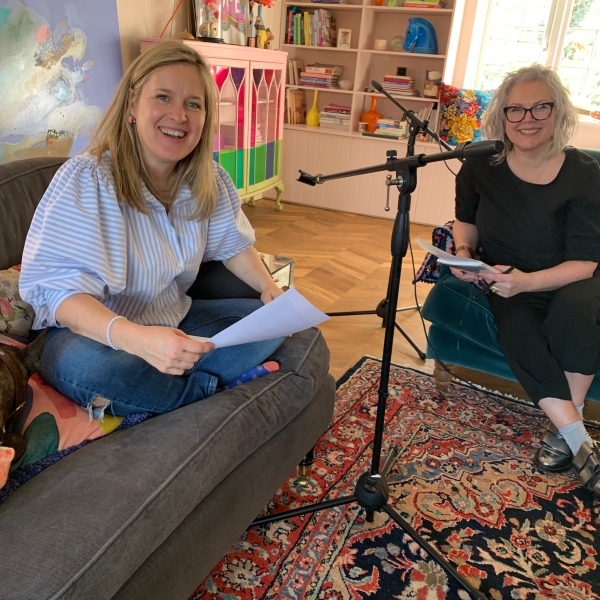 You can listen to the podcast on any platform, and you can find the links to all of those here, and remember please do rate and review as it really does help to reach all those essential listeners. So, let’s kick off with today’s episode! 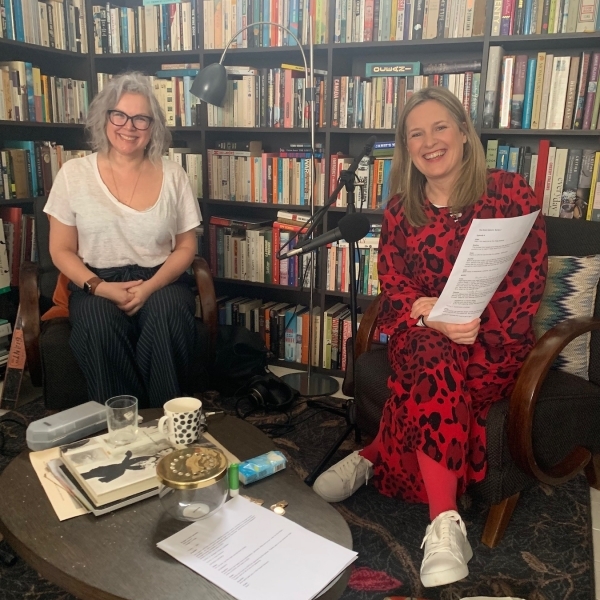 First up, giving your home a summer re-fresh, real vs faux flowers and plants, a big discussion surrounding art in the home and of course the odd design crime! This time of year it’s all about creating a lighter, brighter and more optimistic feel at home and adorning the house with plants and flowers can do that perfectly. Now is the time to load up with fresh flowers as Spring offers an abundance of affordable blooms. 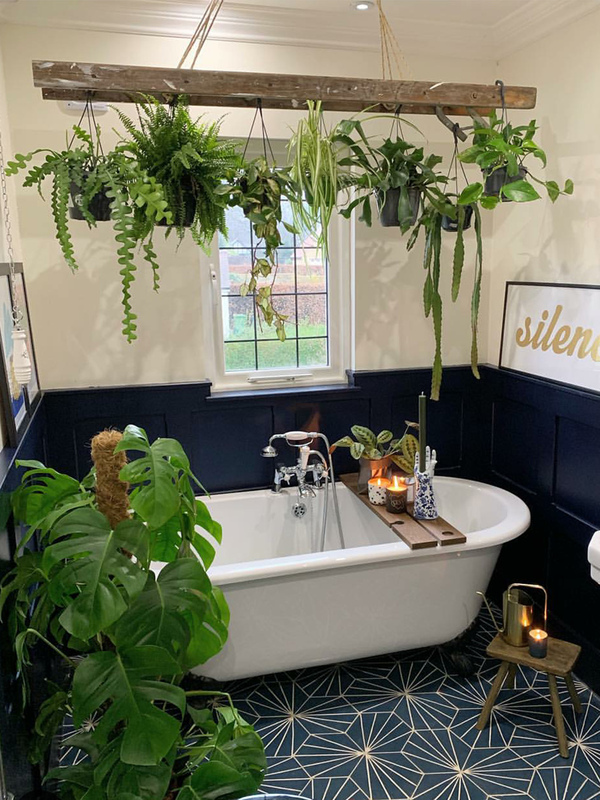 According to colour psychology, green is the colour of wellbeing, so introducing some greenery can instantly uplift a scheme and create a connection with nature and that can quite simply be a pot plant! Find out more about colour psychology and the seasons here. Continuing with the greenery theme, there has undoubtedly been a trend in interiors of late for botanical and floral prints which shows no sign of waning. Equally, the living wall has become increasingly popular both outdoors and indoors but can be quite high maintenance. A great alternative is a herb garden, whether a simple collection on a tray or hanging on the kitchen wall, you get creative with your herbs to create an impactful display. 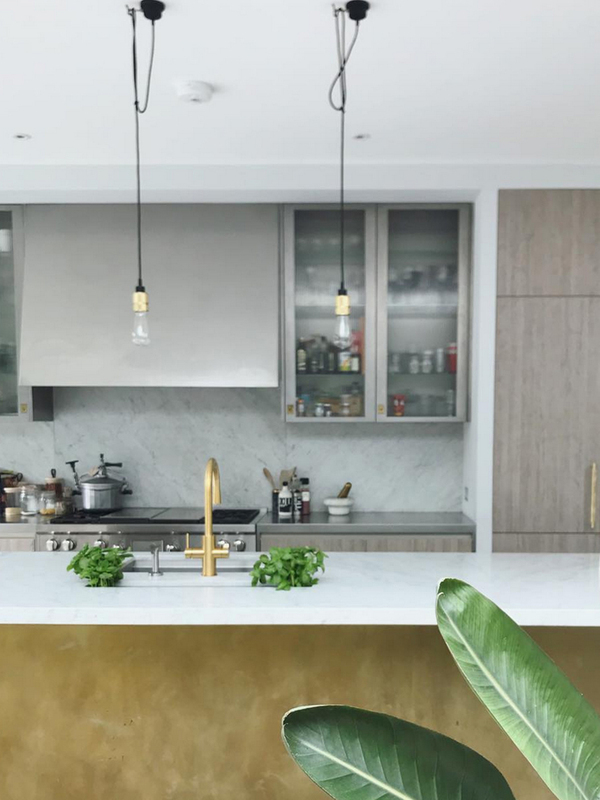 Kate loved what Sommer Payne of HouseCurious has done in her kitchen – cleverly had a trough cut out of the kitchen worktop so the herb pots are sunken and hidden – genius! Why not use a ladder as a way of suspending plants? 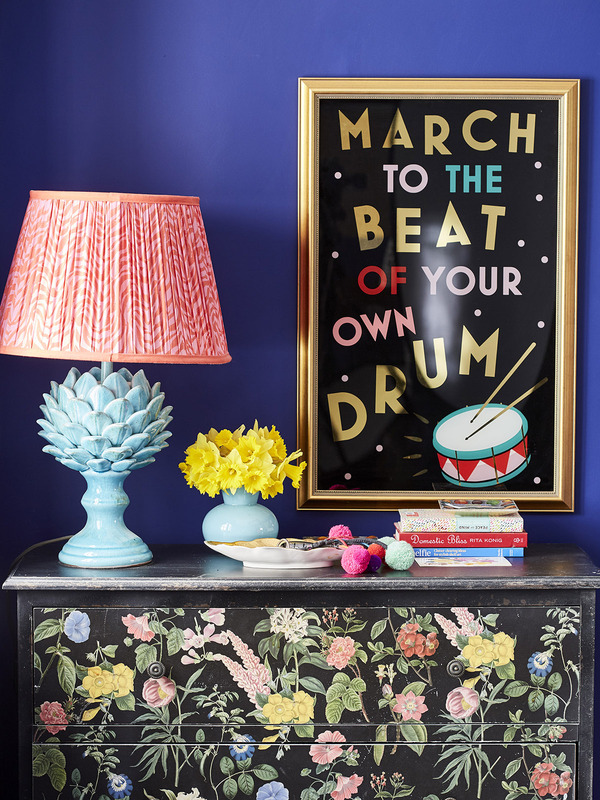 That’s what Katie Woods @comedowntothewoods did and it creates a fabulous focal point. For maximum impact go for a multitude of one type of flower – as Sophie says, more is more is more! If you’re not a fan of the drooping tulip then place in a shaped or fluted vase to support the stems. There are many theories out there to help stop this but a simple vase is definitely a winner. Always cut stamen from lilies before displaying to avoid the pollen staining – everything!! If you decide to opt for a faux plant, choose one with large leaves like the Swiss cheese (Monstera) or fiddle leaf fig as these have plastic looking leaves and are easy to fake. Go for silk flowers rather than plastic as they have a more authentic look and feel. If you have pets double check what variety of flowers and plants can be poisonous. Sophie’s gallery wall is an eclectic display of mixed media mementoes, including needlepoint, photos and paintings. This subject is a bit of a minefield and there really is no real wrong or right answer. However, both Sophie and Kate agreed that a common mistake is to hang artwork too high without considering what else is in the room. Kate mentioned the theory of getting the middle of the picture at eye level which Sophie quickly dismissed as it’s just not practical when designing a room. There are many factors to take into consideration: if hanging above a sofa, it should be lower, if above a bed it depends on the height of the headboard, how high the ceiling is, don’t have too much distance between your art and your furniture, the list goes on…. Sophie swears by Command strips, they are damage free hooks and fixers which enable you to hang your artwork without making holes in all the walls and if you change your mind, it’s easy to start again. Ensure the walls are well prepared and check the weight allowance for each hook. A small single piece can get lost on an expanse of wall so group artwork in one place to create a gallery. Sophie’s top tip is to lay out all the artwork on the floor and take a photo to visualise how you want it to look. If you prefer a more ordered and considered arrangement cut out parcel paper or lining paper the same shape and size of the artwork and stick on the wall with masking tape to plan the finished display. Kate favours a more formal gallery wall like her set of pictures in the hallway – all from the same series, same frame and same size. Sophie feels that strong, saturated colours need breaking up so a collection of pictures can do just that. A random gallery wall can be added to and moved around easily whereas a formal grid is more of a commitment. 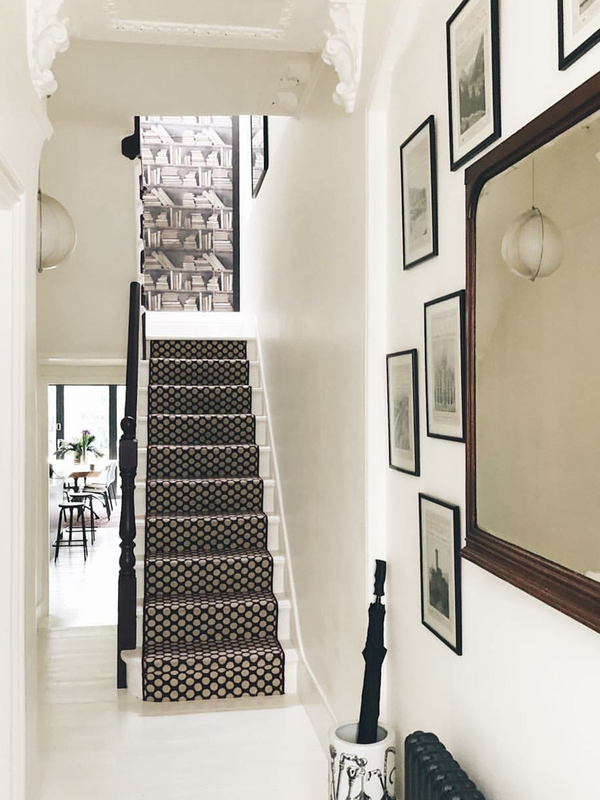 Stairs are the ideal place to hang a gallery wall as it’s usually the one place that’s difficult to hang pictures perfectly, so go for it and utilise the space. 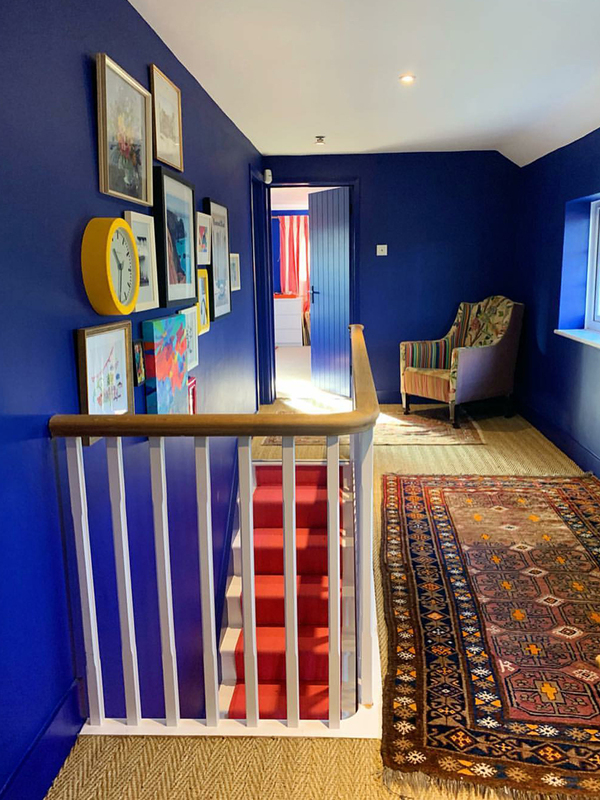 A small or busy room can have more impact with a single piece of artwork rather than a gallery wall as it will make the space feel too chaotic. Buy a picture because you love it and not because it goes with your furniture. You may be drawn to particular colours but remember you have to look at it every day and it should resonate with you. Limited edition prints are generally a great price point, more expensive than a poster, but cheaper than one-offs and you’ll be supporting the artist too. For a gallery wall to work, mix it up with photos, prints and personal mementoes in varying sizes. This episode’s victim is the over-the-top cooker hood. Sophie’s argument was that they are too large and expensive and should not be the focus of your kitchen design. Who can argue with that? 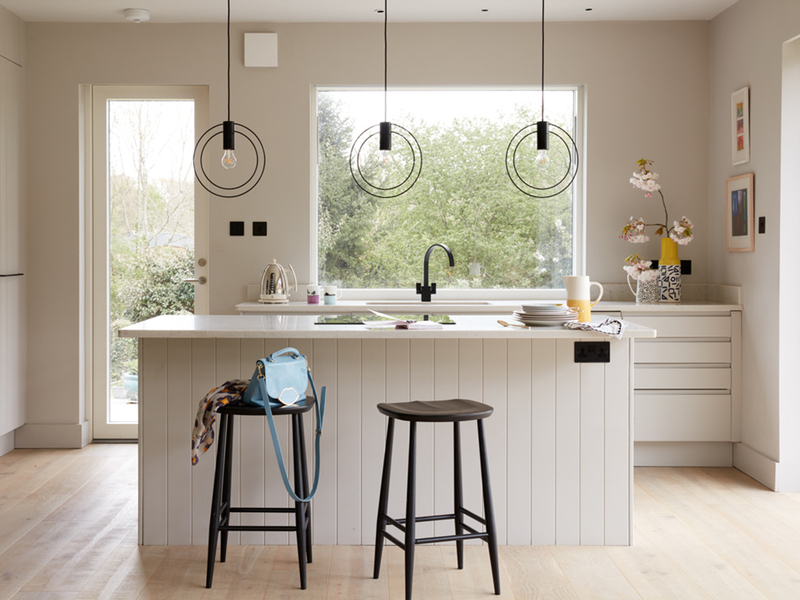 While designing her mum’s open-plan annexe Sophie wanted the space to flow and feel light and airy and not obstructed by a big hefty lump of stainless steel. So she went with a standard extractor fan- as you would find in a bathroom, that fits into the wall and draws the air out of the room. If you are able to put the fan next to hob then you need one that does 15L a minute. If you can’t place it near the hob then a 30L per minute will do the job. Sophie would like to thank their sponsor DFS and producer Kate Taylor. And of course her co-host Mad About the House. 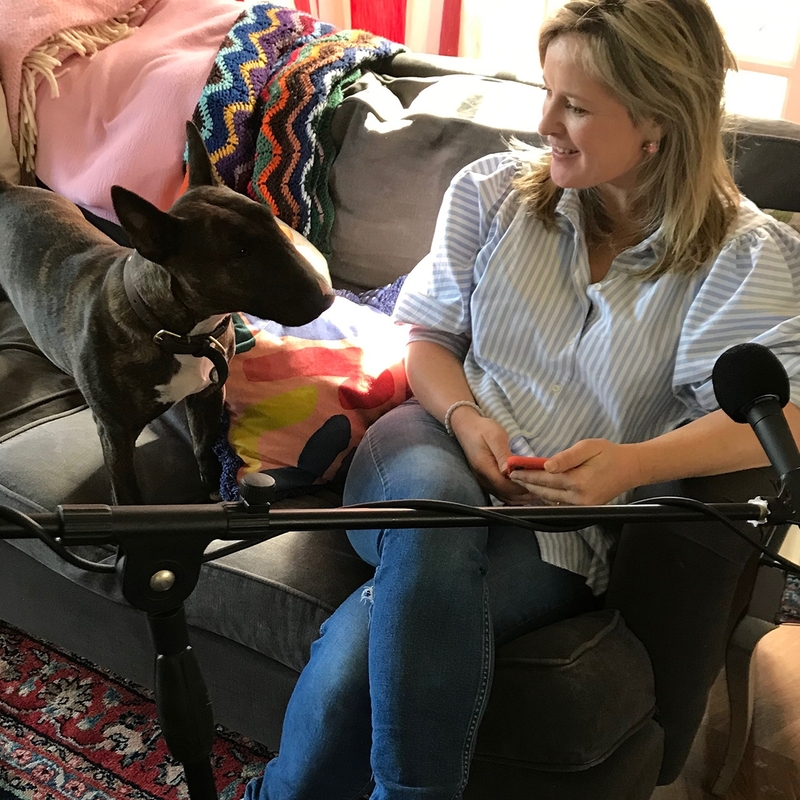 Image at the top: Sophie’s dog Lucy being part of the Podcast recording! Post written and compiled by Luisa Ferdenzi.